These books are great and generate a lot of discussion. This year, I’ve really enjoyed Tess of the d’Urbervilles. I don’t mean to say these texts aren’t worthy of studying – but classrooms would hugely benefit from more diverse and current books, especially from this century. This is already happening, to a certain extent – for example, with Noughts and Crosses. I think YA is more likely to make an impact on a student’s life. The YA section in a bookstore is where you’ll find some of the most influential and life-changing reads, as well as a plethora of diverse stories. So much of what I read in these categories spark important discussions. In my opinion, the current syllabuses fail to do so – of course, there’s discussion of race and patriarchy, but often in the context of eras gone by. As important as historical literature is, it’s also integral to make syllabuses inclusive of books that deal with issues in the current state of the world. It’s also so vital children see themselves represented. I’m yet to find literature by authors of any Asian origin on a syllabus, and LGBT* representation is shockingly sparse. The ratio of black and female authors to white and male authors is also far from equal on reading lists. So, what would I put on the curriculum? 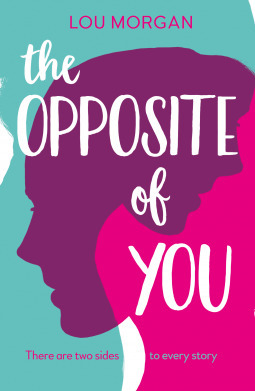 GCSE and A Level: If You Could Be Mine is a beautifully written book about two girls in Iran, who have feelings for one another but can’t express it publicly. It would be awesome to see an Iranian author on the syllabus, and the story is an emotional one with lots of themes to be talked about in class, from sexuality and religion to society and tradition. Middle Grade Reading: George would be a fantastic book to discuss with younger pupils. Not only is it a really fun, heartwarming read – it’s also the perfect way to start a discussion about gender with children and promote tolerance of trans kids. Trans children are more likely to feel alienated and be victims of bullying in school: wouldn’t it be incredible for them to see themselves in the books they read? A Level: The Bunker Diary is controversial, to say the least, and it’s incredibly hard hitting. That’s why I hesitated to put this on the list. But I think it would be fascinating to analyse for students who would feel comfortable talking about its themes. In particular, the narrative is a really interesting point; it’s constantly evolving and switching as the protagonist spends longer in the bunker. GCSE: Especially on the GCSE curriculum, opportunity to talk about current events is very limited. Police brutality and racism in America is a really important topic to engage students in so they’re aware and informed. The Hate U Give is perfect for this. It’s also a fantastic read that’s hard to put down. GCSE and A Level: Wide Awake is definitely underrated and I’m always eager to recommend David Levithan! The current state of the US is pretty depressing, but this book explores the idea of a gay Jewish president being elected, and the diverse celebration surrounding his campaign. It’s brilliant! David Levithan’s writing is absolutely beautiful and it would be so wonderful for it to be reflected on in classrooms. Middle Grade Reading: Wonder has to be on this list! I’m pretty sure some primary schools have already used this book as a talking point. Wonder is written from multiple perspectives and follows Auggie as he starts mainstream school with a facial deformity. This book is so heartwarming and has already inspired so many young people to promote kindness. 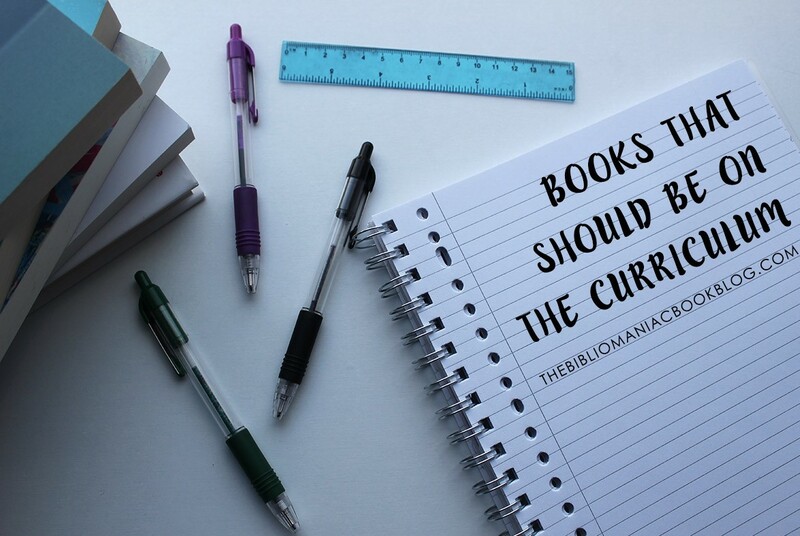 What books would you put on the curriculum? This entry was posted in Discussion and tagged a level, blog, book recs, contemporary fiction, curriculum, Discussion, diversity, english literature, GCSE, geroge, if you were mine, middle grade reading, of mice and men, the bunker diary, the great gatsby, the hate u give, we need diverse books, wide awake, Wonder on June 14, 2017 by Gee. Published 4th May 2017 by Electric Monkey. Goodreads Synopsis: Jemma knows who did the murder. She knows because he told her. And she can’t tell anyone. My Review: When this arrived in the post, I was so excited – the premise sounded amazing. I was hesitant to start it, because I was really hopeful for a realistic and positive portrayal of disability – I had high hopes! All those high hopes were met – I Have No Secrets is fantastic. Jemma, 14, is reliant on Sarah, her carer, given her cerebral palsy condition that limits her movement and speech. Those around her are always letting her in on secrets, and Jemma can never reply – and that becomes a huge barrier to a crime when she discovers a culprit. I absolutely adored following the story through Jenna’s internal monologue. I loved her narration and her voice and it’s the reason why I don’t think there’s anything in YA like this right now. 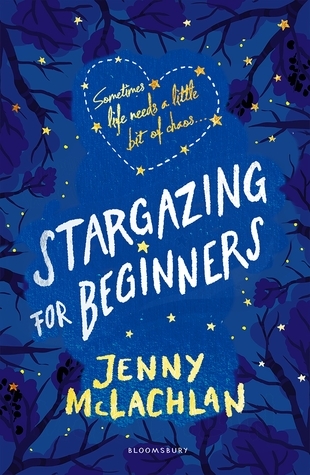 I felt Jemma’s frustration at being unable to tell people what she knew, and really connected with her. 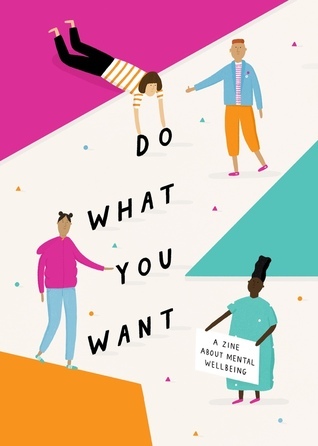 Especially as the author has a background in working with disabled people, and a lot of research has gone into this book, I really think it’s a great, honest portrayal of what it’s like to live with severe physical disability. The story is so eye-opening and diverse: I really liked the family set up. I think it’s pretty rare to see portrayals of large foster families in books, especially including people with disabilities. It was really great to read about them! For the first third of the book, I felt like the plot was a little bit all over the place, as lots of family, health and crime issues arise close together and my attention was drawn all over the place for a bit. However, it’s really clever how they all intersect and the different parts of Jemma’s life come together – just wait for the ending, it’s really unexpected. 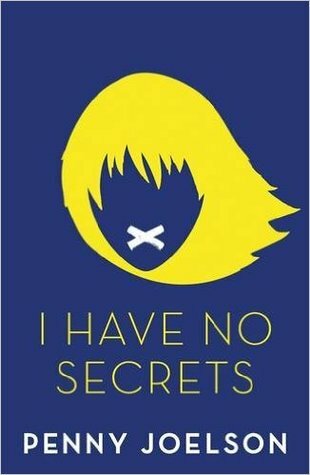 Overall, I hugely enjoyed I Have No Secrets and would definitely recommend it. It has such a wide appeal, and even if contemporary / thriller stories aren’t your kind of thing, I urge you to pick this up for its unique perspective and portrayal of disability. These kinds of books are so important. Not only that; it’s a riveting read too! This entry was posted in Book Review on June 7, 2017 by Gee. Over the years I’ve bragged quite a bit about my fancy colour coded bookshelves. I often buy books because they look pretty. And I’m a sucker for a special edition. 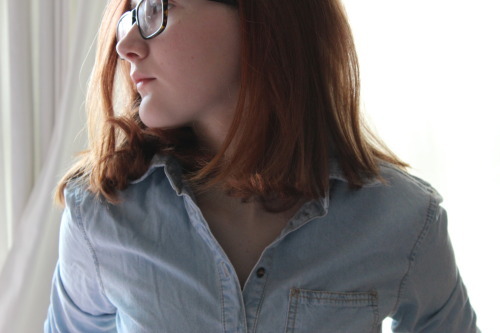 It’s very clear that I’m, uh, enthusiastic about holding onto books. When I counted how many I owned last year, it totalled around a thousand. Crazy, I know. I’m being constantly warned that if another book crosses the threshold of my room, the ceiling below will literally collapse. For the past sixteen years of my life, when anyone has questioned my book buying habits (very often), I’ve been quick to jump to my own defence. THERE’S NO SUCH THING AS TOO MANY BOOKS! I’ll yell, lovingly guarding the bookshelves (which seriously need dusting) that occupy half of my room. Last year, in a completely spontaneous decision, I managed to sort a box of books that I could part with. It was a painful process. I discarded books then frantically grabbed them back, unwilling to let go. It’s safe to say I’m obsessive about my books, even if I know I’ll never get around to reading them. It’s like a comfort; my room is surrounded by reading material I could never run out of. I’m reluctant to depart from books I’ve read too, even though it’s unlikely I’ll never read them again. They’re like snapshots lining my walls, from different points of my life, a huge collection of memories. I decided a few weeks ago that I needed to try again, because the situation in my room was quite frankly ridiculous. In addition to the shelves lining one wall (and the two in the hallway…) I had stacks of books strewn across the floor, and proof copies piled beneath my bed so much so that they were practically holding it up. It had to change! I give in – sometimes, there *is* such a thing as having too many books. I needed some space. I didn’t even let myself think about what I was doing. My “to-read pile” is actually three “to-read-bookshelves” and although I would love to get around to reading everything, it’s unlikely I ever will. Studying is intense, my interests are changing, and I just don’t have the time. Some of these books were simply collecting dust, unloved, and I realised someone else could be enjoying them. 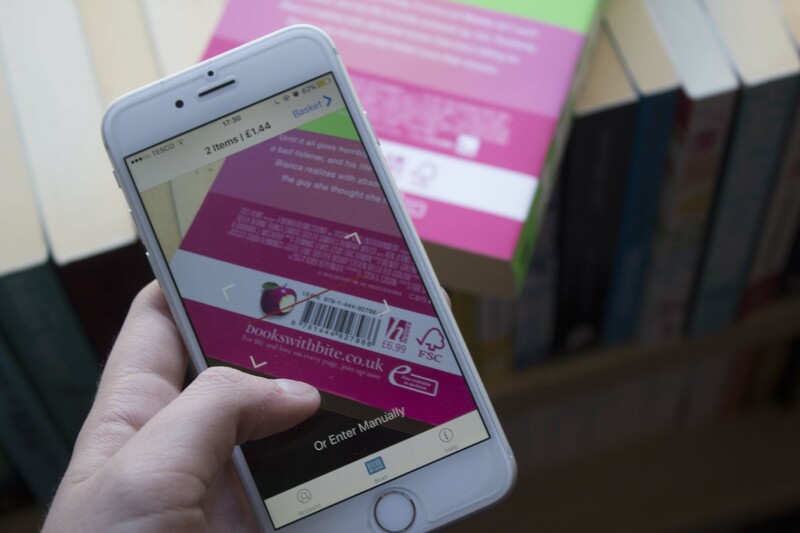 WeBuyBooks: there are lots of companies that will buy books from you, such as Ziffit, but I found this app to be the most accessible. Simply download it to your phone and use the camera to scan barcodes; it’ll tell you if they’ll accept it, and if so how much for. 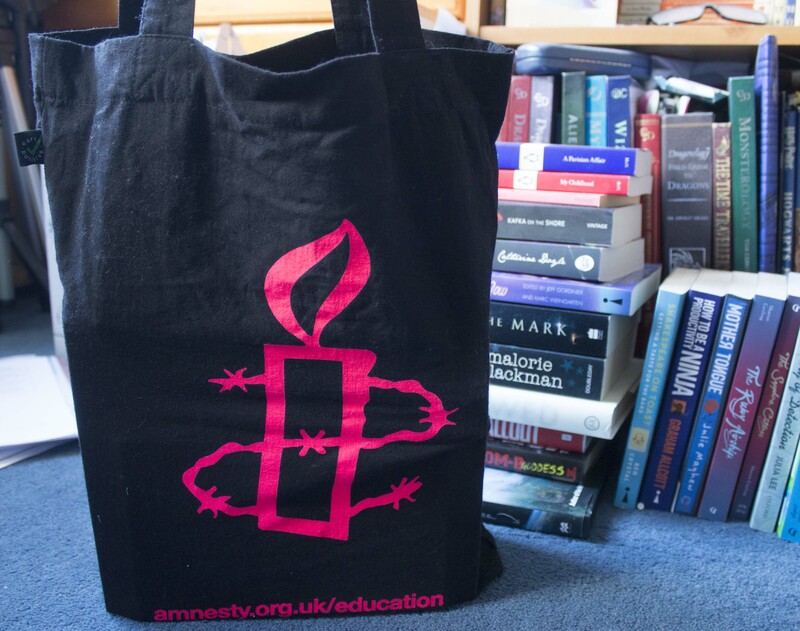 Prices can range from about 20p to £3.00, so if you’re looking for some extra money, it’s a great option, especially when you’re culling a lot of books. I totalled just £10 on here, which isn’t a massive amount, but I mean, it’s pretty good for half an hour of zapping books! The train station: stations around me often have shelves inside, where second hand books are left for other commuters. I really like how these circulate. Books can end up anywhere! Someone might pick one up just to flick through on a commute and leave it somewhere else, or another person might discover it and fall in love. So if you’re near a station, why not drop some off? My school library: libraries across the country are lacking in funding, and school ones hardly get any budget. Yet they’re thriving places that would greatly value new books to inspire teenagers’ reading. Five of my seven bags are headed for my school’s library, and I’ve made sure those bags include the newest titles I’ve decided to part with. I hope children in the years below me enjoy them; maybe they’ll find their new favourite book. It’s especially a good idea to donate to school libraries in areas where not a lot of children read. From my time at school, I know that the majority of the year groups don’t read for fun. It’s important to inspire that. Charity shops: none of my books this time around went here, but it’s worth a mention for all the other times I’ve chosen these places. Living near a high street with a countless number of them, charity shops are easy to donate to and often willing to take new books. And of course, you’re helping another good cause! Good on you. And if you’re wondering? I got rid of about 200 books, yet my shelves are still full. I DON’T KNOW HOW EITHER. I better do another book cull soon. 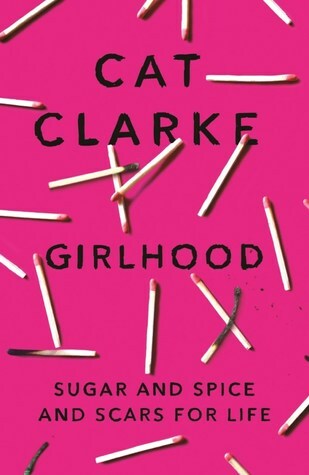 This entry was posted in Discussion and tagged book cull, book culling, book donation, books, bookshelves, charity, collection, Discussion, donating on April 26, 2017 by Gee.